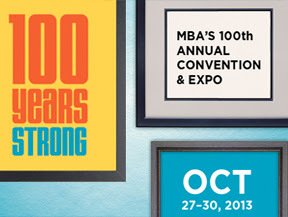 The upcoming MBA Annual Conference in Washington DC, October 27-30, will be an historic event, marking the association's 100th Anniversary. For this milestone, NCS will be capping its already historic year with a special effort to meet one-on-one with business leaders seeking new tools to help turn the corner and move forward with the recovery. NCS has added and enhanced numerous products designed to streamline income verification, improve credit reporting turn-times, and move documentation to a more secure, auditable, and efficient system of electronic signature, delivery, and storage. NCS' year began with the announcement of its new partnership with eSignSystems to provide complete electronic signing, delivery, and vaulting of loan origination – and any other documentation – through our portal. Although this coincided with the January 7 acceptance of eSigned 4506-T forms by the IRS, the NCS system can accommodate all documentation involved in mortgage lending – or any other industry. NCS executives and members of the national sales team will be in Washington to discuss specific ways to customize this powerful new functionality for your business. We can provide detailed analysis of your company's needs and the best products for your workflow. We can also discuss customizations available to improve productivity as well as discounted package options. Another anniversary was celebrated in March, when NCS participated in the 30th Annual Regional Conference hosted by Mortgage Bankers Association of New Jersey (MBA-NJ). The mood among mortgage bankers and brokers who visited the NCS booth had greatly improved from the previous year's uncertainty over pending CFPB rulings. Lenders were clearly eager to get on with business, and were especially interested in our StartMyApplication, Cash Flow Analysis, and Record of Account products. • With StartMyApplication, a loan officer or REALTOR® directs prospective buyers to a lender's personalized "startmyapplication.com" website to begin the application and pay all credit-related fees. It produces a merged credit report that is then available for lender review and submission through all underwriting and lending channels. • At no extra charge, the Record of Account (ROA) combines your loan applicant's tax transcripts with an account transcript that includes all activities between the date the original tax return was filed and the date the ROA was ordered. It provides a more accurate understanding of your borrower's income and behavior. • Automated Cash Flow Analysis is NCS' latest reporting innovation, allowing lenders to obtain faster, more accurate, and more compliant income verification that ensures an applicant meets the necessary criteria to process a loan application. In April, NCS SVP for Government & Industry Cecil Bowman appeared as a panelist at the MBA's National Technology in Mortgage Banking Conference & Expo in Florida. After the MBA stated that "electronic signatures can provide significant operational and compliance efficiencies to lenders and servicers while improving customer satisfaction," the presentation on "How Electronic Signatures Are Changing the Way We Do Business" attracted additional interest. Bowman shared the dais with eSignSystems' EVP Global Sales and Marketing for eSignSystems, Kelly Purcell, and attorneys from Locke Lord LLP. The audience reaction was animated. One question from attendees was when the FHA would begin accepting eSigned 4506-T forms. The answer is expected before the October meeting, which would mean that all loan origination could move online. That will give us one more discussion point for our meetings in Washington! Be sure to set up a time to meet us between October 27 and 30 so we can discuss the specific products that best suit your company's needs. Contact us by email or call 800-582-7066.